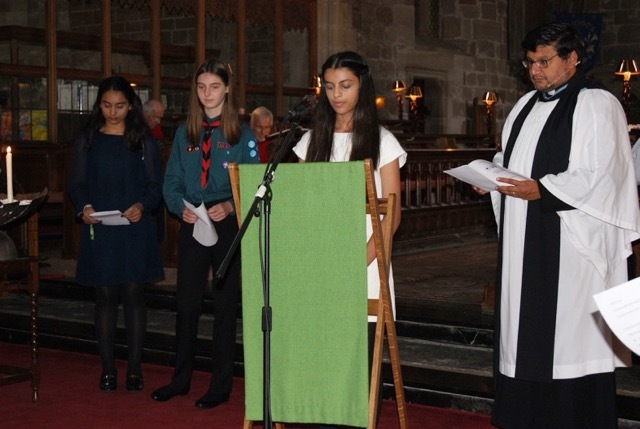 A poignant memorial service to remember those who lost their lives in Srebrenica was held at Bromsgrove’s St John’s Church on Sunday (September 4). Muslim, Jewish and Christian communities in Bromsgrove came together to unite against hatred and intolerance while readings were made from The Bible and Qur’an. Cllr Helen Jones, leader of Bromsgrove District Council, led an act of remembrance in lighting candles for the 8,000 Muslim men and boys murdered in Bosnia 21 years ago, with Dr Yvonne Stollard of Birmingham Progressive Synagogue and Graham Usher, the Bishop of Dudley also paying their respects. The genocide in Srebrenica is a stark reminder of the damage hatred and intolerance can do to communities. With a sharp rise in the number of hate crimes recorded after the EU referendum earlier this year, members of different faiths felt it was important to come together and demonstrate their commitment to making everyone feel welcome and safe in this community. “This was an important occasion, as we were remembering the events of 21 years ago with sorrow, but also awakening minds to the threat of racism in our society. This event was one of hundreds of Srebrenica Commemorations across the nation organised by Remembering Srebrenica’s Regional Boards and Community Champions. They are all working to bring communities together through events such as multi-faith memorial services, concerts, film screenings, football tournaments and Peace Walks. These demonstrate the importance of community links within the UK, as well as highlighting that we truly do have more in common than dividing us. “Our dedicated Community Champions are leading a grassroots movement to challenge the stereotyping and dehumanising language that has become prevalent in our country, and to bring communities together through acts of commemoration”.